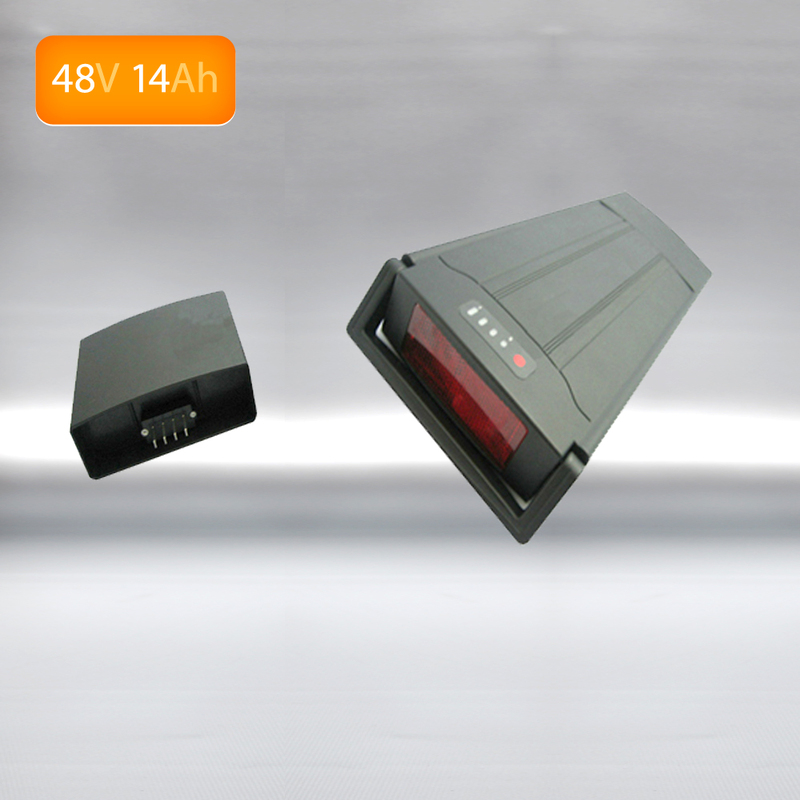 This is a rack battery that is used for high power electric bike applications. It uses the newest 3500mAh PANASONIC cells with a high 3C discharge ability. It’s a neat rear rack option for people using electric conversion kits upwards of 1000W. It comes with an integrated rear light, a custom double layered carrier lack with lock and a controller box that mounts at the front of the rack to neatly hold the motor controller. Cells: PANASONIC 3500mAh high discharge 3C rating.